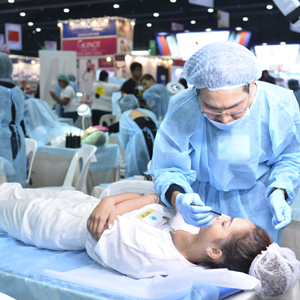 The fourth edition of Beyond Beauty ASEAN-Bangkok (“BBAB”) has truly been a record-breaking one from September 21 to 23 at Challenger 3, IMPACT Exhibition & Convention Center. Targeting the fastest growing ASEAN region, international exhibitors have enjoyed the platform to enter this market. 664 companies from 18 international pavilions including Spain, Germany, Poland, France, UK, USA, Malaysia, Singapore, Indonesia, Japan, Korea, Thailand, Taiwan, China, India, Pakistan, Myanmar and New Zealand have joined in BBABA 2017. 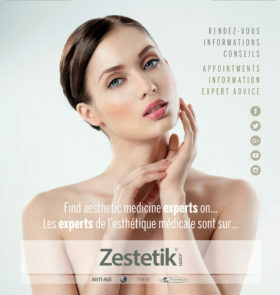 It is the first time we ever had Polish and French brands exhibiting in our show and they find Thailand market booming. We enlarged our Korean pavilion with our partner—KINTEX to bring 200+ companies from Korea this time to showcase the authentic K-beauty. BBAB 2017 has grown into No.1 show in ASEAN region. We are honored to have invited French Embassy and Korea Embassy in Thailand to join our opening ceremony. In the meantime, BBAB has been strongly supported by The Federation of Thai Industries, Thai Cosmetic Manufacturers Association, Thailand Convention and Exhibition Bureau, Thai Ministry of Commerce. It has truly grown into the icon show in ASEAN market and all international community are paying more attention to Beyond Beauty ASEAN Bangkok now. With a delighted increase of 10%, we are proud to have host 13,098 visitors during the three days. Among them 81% is local visitors and 19% are from international countries. Visitors from Malaysia, Philippines, Indonesia, Singapore and other ASEAN regions are seeing BBAB as a major sourcing platform to find international products and partners. 269 VIP buyers from Singapore, Malaysia, Myanmar, Thailand, China and other countries in the ASEAN region are mainly importers and distributors specializing in bringing international brands into the ASEAN beauty market. A program of 2000+ B2B match making meetings have been accomplished during the three days. As no.1 OEM cosmetics manufacturer, Thailand is always the top destination for packaging companies to seek for business opportunities. This year, we have over 150 companies from China, Taiwan, Thailand to join in the dedicated “Supply Chain” sector. In 2018, BBAB will present a supply chain sector in Hall 6 to federate all players from raw material, packaging material, packaging machine and OEM. We will merge all international service provider with local manufacturers and brands to create a unique business matching area. BBAB 2017 has a very fruitful program of conferences and activities both for all trader visitors and the public. We have welcomed in total 1,070 delegates for all conferences from 1st ASEAN Spa & Wellness Conference & Workshop; 1st AESAN BEAUTY RETAIL SUMMIT; 3rd Beyond Beauty Trends Conference; Beauty technology incubator zone. We cooperate with PMAT (Permanent Makeup Association of Thailand) to organize the first Semi-makeup competition in 2017, over 80 makeup artists are onsite to do the live demonstration and the area is really crowded. Among many onsite events, visitors are glad to go on a unique and interesting experience presented by CENTDEGRES and FERMENICH who has been supporting BBAB since long. The two partners took visitors to a perfume ritual into the essences that perfume Thailand through an exclusive olfactory journey. Visitors were offered a beauty set including a perfume and other cosmetic products. BBAB has grown after 3 years to become the No.1 show in ASEAN market. It is truly the gateway for international brands to ASEAN market. Informa GE is a business division under Informa PLC (a FTSE 100 company), organizing 250 trade exhibitions globally every year, with strong resources and brands in Beauty, Construction, Design, Life Sciences, Maritime, Neutroceuticals, Pop Culture and Real Estate verticals. Informa GE has become world top 3 exhibition organizers.